• Put your business in the flow of REAL internet traffic. • Your local news organization for 46 years. 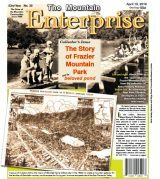 • Over 200,000 pages viewed every month. • Your ad links to your own website. • Don’t have a website yet? We’ll create a page for you. • Rates are very affordable. Call Gary at 661-245-3794 for more information. 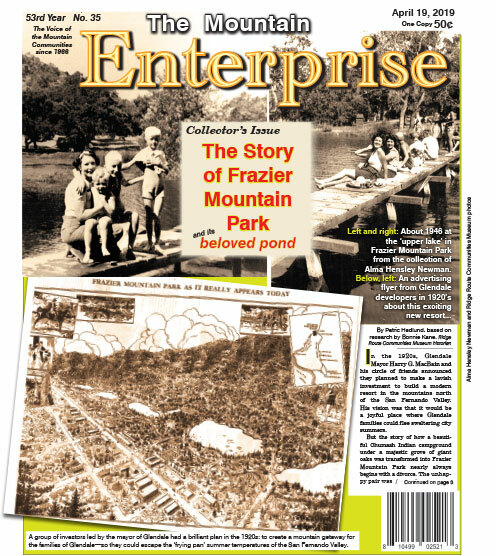 This is part of the April 19, 2019 online edition of The Mountain Enterprise.